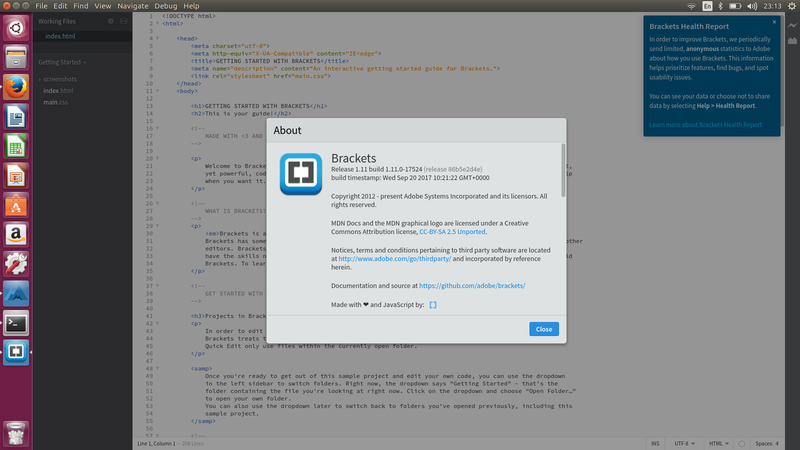 Brackets is a lightweight, yet powerful, modern text editor. We blend visual tools into the editor so you get the right amount of help when you want it without getting in the way of your creative process. Brackets on Linux by nethip : Brackets now offers full support for the Linux platform. With an update to the shell with a new version of CEF, Brackets is now fully functional on Linux.